The process of making an authentic Toquilla Straw Hat is a long, meticulous process. Many artisans are involved in the process and it requires a technique that is passed from generation to generation. Once woven, the hat has four to six inches of loose straw remaining around the brim. This excess of straw is then woven backwards by “rematadoras”, forming a thin but strong band around the brim. Next, an “azocadora” receives the hat to carefully tighten the brim’s edge. The remaining straw of the brim is then cut as well as the straw ends of the inside of the hat. After the remaining straw has been cut, each hat is washed individually. Some hats are bleached after this to get their final color. Once the hats are washed and dyed, they are dried in the sun. Afterwards, an “apaleador” uses mallets made of dense tropical wood to pound the hats. The pounding softens the straw, making it more flexible. Any fringe at the edge of the brim is now cut off entirely with a razor blade and the hats brims are then ironed by “planchadores” to even out the weave and remove any small undulations in the straw. With the Ikat technique the thread must be dyed before weaving them. Through the use of special knots the dyes avoid to enter certain sections of the textile, thus obtaining a variety of tones in the same thread. To create a scarf takes three days to two months, depending on the fabric fringe. The whole process of making an Ikat Scarve is manual. The yarns to be dyed are arranged in a process called warp. They are ordered from 2000 to 2500 threads for each shawl to develop. The strands are counted and separated to tie them up with special knots- a technique called Ikat. The knots will determine the design of each scarf. When the dying takes places, the places where the knots are do not get stained, thus keeping the original thread color at that place. 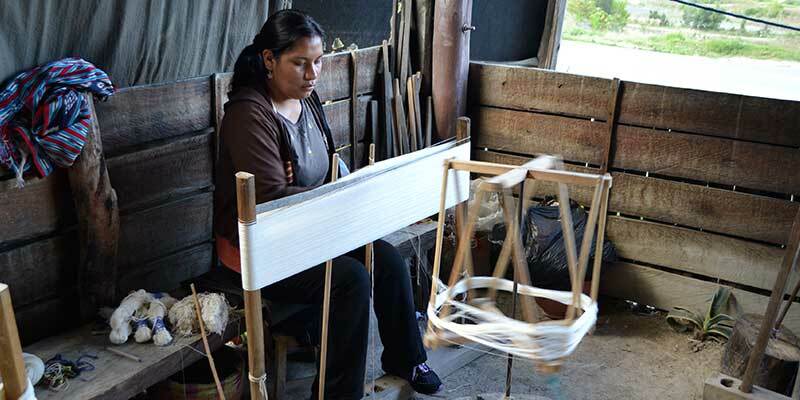 After the dye, the knots are cut and the warp is laid in an ancient warp loom for weaving the fabric by hand to interweave each strand of warp. The weaving or tie of the fringe of the scarf is what gives the final touch to the ikat cloth. This is a continuation of the warp yarns. The design of the fringes could be: knotted, embroidery, and crochet.